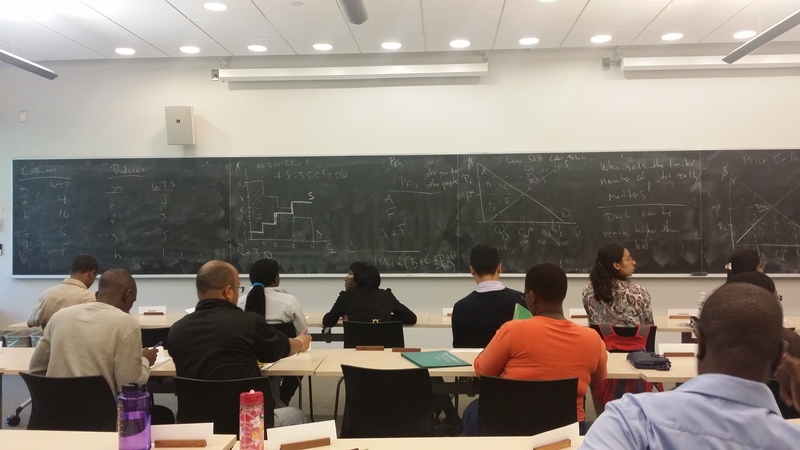 We strongly encourage students to prepare for their year at the Center for Development Economics. Most students will have graduated from college some years prior to coming to the CDE. In such instances, some reading and thinking about basic economic principles and ideas will facilitate your work at the CDE. The first area of concern is English. If your first language is not English and/or your education was not in English, then you should work on your English comprehension in order to understand both the readings and the class lectures. We urge you to study economics and to read widely in English whenever possible. The volume of assigned reading is such that even those with good English are challenged. To increase your opportunities to speak English, you may want to enroll in an advanced English conversation course in your country. You should practice organizing your thoughts in written English whenever possible, especially in your work. In addition to reading books, there are a few on-line distant learning sites you should visit. The following are sites we have reviewed and find them to have merit for the purposes of preparation for your studies here. All courses at the CDE presume that students have a working knowledge of basic economic theory. This includes familiarity with terms such as opportunity costs, elasticity, profit, physical capital, equilibrium, and the like. You should be familiar with the textbook theory of the firm, including concepts such as the conditions for profit maximization, the role of marginal products in determining the demand for factors of production, different forms of competition, etc. Similarly you should become familiar with the theory of the household, e.g. preferences, demand and indifference curves, role of prices and income are also useful to have in hand. All of these concepts can be found in most of the principles of economics texts that are available in university libraries published within the last ten years. We strongly encourage you to take some time to refresh yourselves on these kinds of things. A working knowledge of basic statistics (probability, distributions, measures of central tendency and dispersion, and hypothesis testing) is important before studying econometrics. You should review basic mathematics and algebra, including summation and functions (particularly linear, quadratic, exponential, and logarithmic functions), rudimentary matrix algebra including transposition and multiplication, and basic calculus –including total and partial derivatives.